To revitalize the glory of Ayurveda in understanding health, disease, mind and body. To promote cost-effective pure Ayurvedic treatment with the inclusive participation of the Vaidya (the physician) as a healer established in an authentic institution. To make such an institution an all-inclusive centre involving good clinical practices, medicine manufacturing unit, research, teaching, documentation, herbal gardens with a library to support study and research. The centre supports and encourages allied Vedic disciplines, such as Yoga, Tantra, Sangeeta(Classical Music), Jyotishya (Astrology) and Bharata Natyam (Classical Dance). To set up an authentic herbo-mineral manufacturing unit to ensure best production and availability of the best medicines. To promote classical study of Ayurveda, Yoga and Sanskrit for the benefit of. genuine Indian and foreign students and doctors through the Gurukula system of teaching. To collaborate with other like-minded individuals, organizations and movements to carry out clinical research in socially relevant domains. 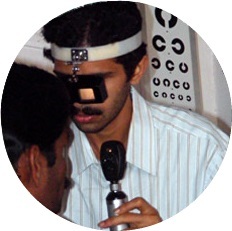 To study, conduct research and make documentation in many unfocused areas of Ayurveda, like Ayurvedic E.N.T., eye care management and the use of mineral medicine in managing acute and complicated conditions; and setting up clinical research to find better solutions for most acute, chronic and life threatening diseases of the current era. To initiate clinical discussion, seminar training, orientation programmes. Further to collect, collate and document available Ayurvedic information as well as practices. To enable the poorest of the poor to have access to health care, as health is for everyone. Our idea is to offer access to healthcare even for people who cannot afford to pay for treatments. To publish material of clinical relevance, thereby propagating the science of Ayurveda, as authentically as we possibly can. To form once again a traditional Indian philosophical model (gurukula), with emphasis given to Ayurveda.